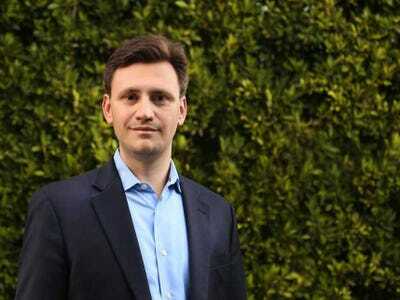 AspirationCEO and founder Andrei Cherny isn’t worried clients won’t pay. Aspiration, an online investment firm that launched Tuesday, has a radical idea. Unlike traditional investment firms, which charge a percentage of the assets invested, the company plans to go in another direction: Pay whatever you think is fair. He points out that in most investment firms, the people managing your money get paid the same amount whether or not they do a good job, and that hinging the company’s livelihood on pleasing customers provides an incentive to serve them well. Cherny, who has a long history in financial regulation, ranging from a position as a financial fraud prosecutor to working with Senator Elizabeth Warren fighting for the establishment of the Consumer Financial Protection Bureau, built his investment firm for middle-class investors, who he says are under-served in the current market. Aspiration is so committed to serving the middle-class investor that it has imposed not only the usual minimum investment requirements on its clients (in this case, an unusually low $US500), but also a maximum investment: $US100,000 per customer, per fund. Cherny says the cap is to keep the company focused on the under-served investor. 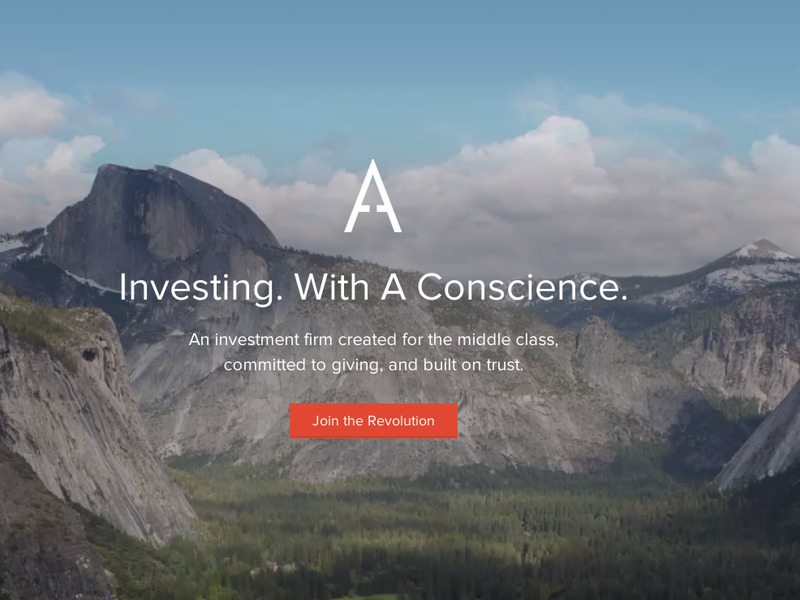 “If you have a fund where some people pay $US500 and a handful put in $US10 million, you’re almost naturally focused more on that type of customer.” With the investment cap, Aspiration aims to limit that sort of bias. AspirationOn the Aspiration site, you can manage your investments and charitable contributions. Aspiration — whose motto is “Do Well. Do Good.” — is also focused on giving back to the community. 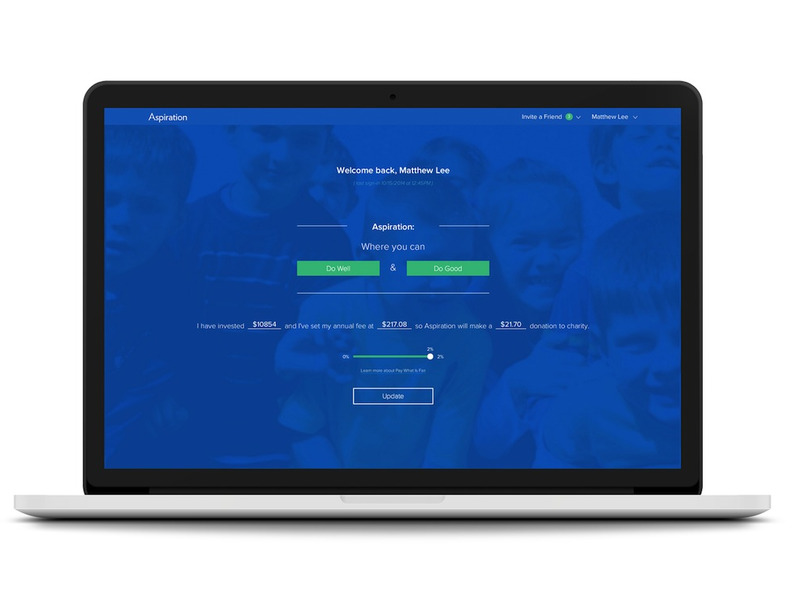 Through its “Dimes Worth Of Difference” campaign, it donates 10 cents of every dollar of revenue to provide micro-loans to struggling Americans. AspirationThe homepage of Aspiration is different than the sites of more traditional investment firms. Aspiration is not the only company to use a pay-what-you-want strategy, but it’s the first financial company we’ve come across. Some retailers have had success with the model — a North Carolina diner initially tripled its revenues when it asked customers to pay what God wants — but there’s little evidence it’s sustainable or that users trying to make the most of their money would choose to fork over fees. Aspiration is now in an invite-only period, and will allow potential clients to “jump the line” by sharing information about the company on social media.